Lots of hobbyists, industrialists, architects and many others are becoming interested in 3D printing. This is a way for anyone to envision an object, like a small miniature model building or even a model train like the ones in the pictures on this page, and actually create a real three dimensional product that looks like, and in some cases even operates like, the real thing. You start the process by creating a CAD (Computer Assisted Design) drawing of what is in your mind or from a reference photo. This drawing is then saved to a digital file. You can create this CAD drawing using one of 2 methods – either with a 3D modeling program or by using a 3D scanner. Basically how this works is the software makes a few hundred or a few thousand “slices” of your design using digital code. When this information is then fed into your 3D Printer, it uses an appropriate material, like plastic or metal to create layer upon layer to construct the object according to the specifications of the digital code that it receives. When the process is complete, you have an actual 3D product that matches the vision you had in your brain! How cool is that! You can then paint it and add whatever other details you wish. Entire model trains can be made with this process. Or if you are missing some train parts, you can make them on your own. The potential applications for this are endless. You're probably thinking this is going to be too expensive, but the costs are a lot less than you might think. There are several models of ﻿3D Printers now available in the range of $3-400, and they go up from there. Commercial 3D printers of course are much more. A very good reasonable 3D model printer could be purchased for about $1000. These costs are definitely in the range where some hobbyists may find it worthwhile. Some of the model buildings we purchase in kits to build are in the range of $100 each. If you created 10 of these with your 3D model printer, you would break even. 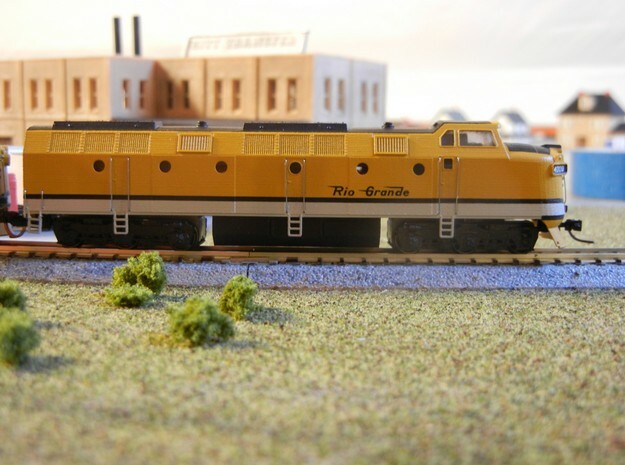 Some entrepreneur-type individuals may even want to create a number of buildings that are not available as kits, perhaps replicas of old train stations, etc., and sell them at train shows or online. 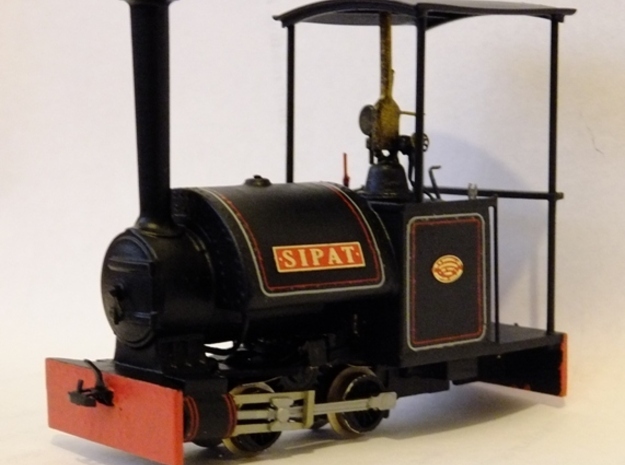 If you’re not in the market for a 3D printer, but would like to design your own model train or building, or if you have a specific product in mind that you may have difficulty getting elsewhere, there are now websites, like ﻿Shapeways.com﻿ where you can order whatever you want to be created by a 3D printer for a reasonable price. You can actually have someone there design the product for you according to your description and send it to you when it's completed! To learn more about 3D printing, check out the links on this page. You’ll be amazed at the possibilities! Shapeways.com: All about 3D printing, learn how it works, download and use free software tools that you can use to design your product, or hire a designer to make it for you.